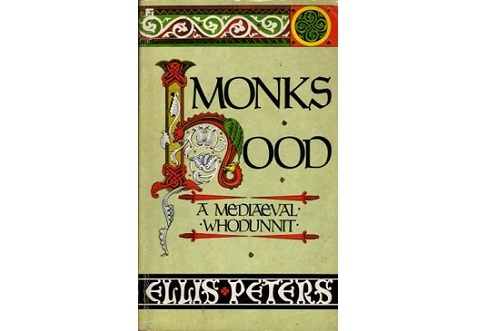 As a teenager I enjoyed Ellis Peters’ medieval monastery novels featuring Friar Cadfael. The novels take place in England in the 12th century and they show how important the environment is. The monastery, its dark passageways, and tower rooms as well as the small monastery garden where Cadfael grows herbs were perfect settings for a historical crime fiction nerd like me. Overall I think that the environment is important; it does not matter if it is Britain in the middle ages or a small Swedish town in the 1980s. I especially remember the maps that were included in the beginning of each novel. Since I had only read a few fantasy books this was fairly new to me and I fully enjoyed it. The ideal scenario would have been if the solution to the murder mystery could have been found with the help of the map – I imagined that I would figure out who the killer was by carefully inspecting it – but unfortunately that never happened. I recently stumbled on the crime fiction classic Name of the Rose by Umberto Eco (1980) and I realized it was time again – a wonderful map. And maybe, just maybe would I be able to figure out the solution… Never mind that I know how the story ends; I have seen the movie adaptation from 1986 with Christian Slater and Sean Connery. 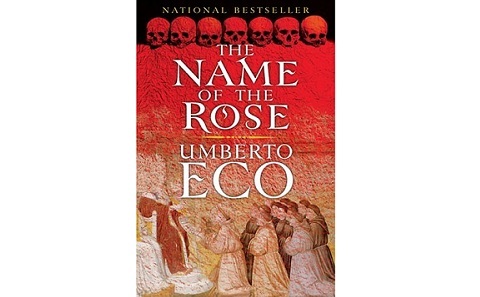 The story takes place in Italy in the 14th century and I have heard that the novel is much better than the movie (which I think is pretty good). The monastery environment is perfect for crime fiction. It remains to be seen when I will actually have time to read Name of the Rose, but since I plan to spend most of the summer reading, I will probably be back with a review. If you have read Name of the Rose (or any of Ellis Peters’ novels), I would love to hear what you thought of them. We all have different taste – I do not like maps in novels, but love all other maps!